Do you know what the “good news” is referring to? Jesus and His work of redemption, through His life, death, and resurrection, is called the good news. The plan of redemption meanwhile runs parallel with the fall. In the beginning, God created everything, and He saw that it was good. The man Adam and woman Eve were given a paradise in which to live and have dominion. But sin entered the picture and mankind fell to its allurement. This was the fall. So now do you have better ideas of “good news” ( Jesus Christ ) and “bad news” ( the fall )? Bad news: there is evil in the world; and our relationships with God and with each other are broken. Good news: God has from the very beginning planned and promised that He would fix what humanity has broken. God’s loving plan of REDEMPTION was unveiled in Jesus Christ, and now we await the glorious return of our Savior Jesus Christ, when all will be made new and perfect. This is the RESTORATION, the final act of God’s plan for us! Now I’d like to mention a few Scriptures from the Bible which wrote about Jesus, the Savior and His redemption, healing, and restoration. All the prophecies from the old Testament to the New Testament of the Bible which predicted the birth, death, and resurrection of Jesus, the Savior had been fulfilled. I’m sorry for not having enough time to write every prophecy and fulfillment in here. 1. The prophet Isaiah wrote the book of Isaiah of the old Testament in the Bible 700 years ago before Jesus was born. 1) Isaiah 7:14: Therefore the Lord Himself will give you a sign: The virgin will be with child and will give birth to a son, and will call Him Immanuel. 2) Isaiah 9:6: For to us a child is born, to us a son is given, and the government will be on His shoulders. and He will be called Wonderful Counselor, Mighty God, Everlasting Father, Prince of Peace. 3) Isaiah 53, it predicted: Who has believed our message and to whom has the arm of the Lord been revealed? He grew up before Him like a tender shoot, and like a root out of dry ground. He had no beauty or majesty to attract us to Him, nothing in His appearance that we should desire Him. He was despised and rejected by men, a man of sorrows, and familiar with suffering. Like one from whom men hide their faces He was despised and we esteemed Him not. Surely He took up our infirmities and carried our sorrows, yet we considered Him stricken by God, smitten by Him, and afflicted. But He was pierced for our transgressions, He was crushed for our iniquities; the punishment that brought us peace was upon Him, and by His wounds we are healed. We all, like sheep, have gone astray, each of us has turned to his own way; and the Lord has laid on Him the iniquity of us all. He was oppressed and afflicted, yet He did not open his mouth; He was led like a lamb to the slaughter, and as a sheep before her shearers is silent, so He did not open his mouth. By oppression and judgement He was taken away. And who can speak of His descendants? For He was cut off from the land of the living; for the transgression of my people He was stricken. He was assigned a grave with the wicked, and with the rich in His death, though He had done no violence, nor was any deceit in His mouth. Yet it was the Lord’s will to crush Him and cause Him to suffer, and though the Lord makes His life a guilt offering, He will see His offspring and prolong His days, and the will of the Lord will prosper in His hand. After the suffering of His soul, He will see the light of life and be satisfied; by His knowledge my righteous servant will justify many, and He will bear their iniquities. Therefore I will give Him a portion among the great and He will divide the spoils with the strong, because He poured out His life unto death, and was numbered with the transgressors. For He bore the sin of many, and made intercession for the transgressors. 1) Luke 1:26-35: In the sixth month, God sent the angel Gabriel to Nazareth, a town in Galilee, to a virgin pledge to be married to a man named Joseph , a descendant of David. The virgin’s name was Mary. The angel went to her and said, “Greetings, you who are highly favored! The Lord is with you.” Mary was greatly troubled at his words and wondered what kind of greeting this might be. But the angel said to her, “Do not be afraid, Mary, you have found favor with God. You will be with child and give birth to a son, and you are to give Him the name Jesus. He will be great and will be called the son of Most High. The Lord God will give Him the throne of His father David, and He will reign over the house of Jacob forever; His kingdom will never end.” “How will this be,” Mary asked the angel, “since I am a virgin?” The angel answered, “The Holy Spirit will come upon you, and the power of the Most High will shadow you. So the holy one to be born will be called the Son of God. 2) John 20:10-18: Then the disciples went back to their homes, but Mary stood outside the tomb crying. As she wept, she bent over to look into the tomb and saw two angels in white, seated where Jesus’ body had been, one at the head and the other at the foot. They asked her, “Woman, why are you crying?” “They have taken my Lord away,” she said, “and I don’t know where they have put Him.” At this, she turned around and saw Jesus standing there, but she did not realize that it was Jesus. “Woman,” he sais, “Why are you crying? Who is it you are looking for?” Thinking he was the gardener, she said, “Sir, if you have carried him away, tell me where you have put Him, and I will get Him.” Jesus said to her, “Mary.” She turned toward Him and cried out in Aramaic, “Rabboni!” ( which means Teacher). Jesus said, “Do not hold on to me, for I have not yet returned to the Father. Go instead to my brothers and tell them, ‘I am returning to my Father and your Father, to my God and your God. '” Mary Magdalene went to the disciples with the news: “I have seen the Lord!” And she told them that he had said these things to her. 5. Jesus healed every disease and sickness among the people and performed numerous miraculous signs and wonders. 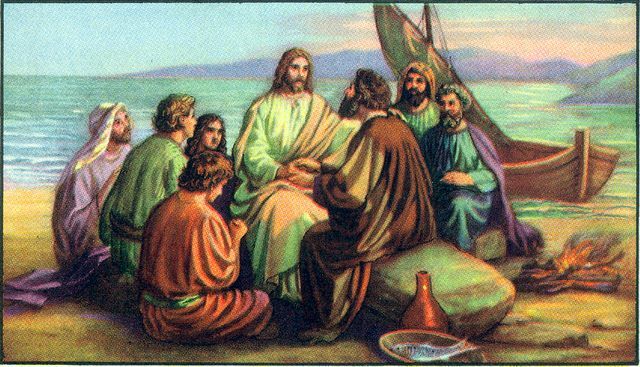 1) Matthew 4:23-25: Jesus went throughout Galilee, teaching in their synagogues, preaching the good news of the kingdom, and healing every disease and sickness among the people. News about Him spread all over Syria, and people brought to Him all who were ill with various diseases, those suffering severe pain, the demon-possessed , those having seizures, and the paralyzed, and He healed them.Large crowds from Galilee, the Decapolis, Jerusalem, Judea and the region across the Jordan followed Him. 2) Nobody is able to write down everything what Jesus had done when He was on earth. Please read the books of Matthew, Mark, Luke, John, …etc. of the Bible, you’ll get the better picture of God’s mercy and love for mankind. 6. Jesus said about His glorious second coming. Nobody knows when it is! It is the end of the age. 1) Matthew 24:30-31, 36: At that time the sign of the Son of Man will appear in the sky, and all the nations of the earth will mourn. 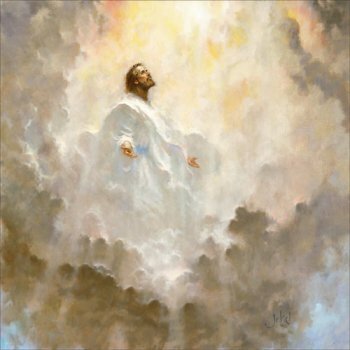 They will see the Son of Man coming on the clouds of the sky, with power and glory. And He will send His angels with a loud trumpet call, and they will gather His elect from the four winds, from one end of the heavens to the other….No one knows about the day or hour, not even the angels in heavens, nor the Son, but only the Father. 2) 1 Thessalonians 5:2-3:…for you know very well that the day of the Lord will come like a thief in the night. While people are saying, “Peace and safety,” destruction will come on them suddenly, as labor pains on a pregnant woman, and they will not escape. Christianity is not a religion but a belief which guides you back to the Creator who has created you. A real Christian would deem the Bible (from the old Testament to the new Testament) as truth, because it says, “ll Scripture is God-breathed and is useful for teaching, rebuking, correcting and training in righteousness.” ( 2 Timothy 3:16 ) Moreover, Christianity is not a dead belief, but a belief which you can experience. Jesus said that He is the Christ, the Son of God. And Jesus has resurrected indeed! Because Jesus is the living God, He can listen to your prayers and answer your prayers. Dear friends, are you ready to experience Jesus now? I think this might be the opportunity for you to think about it. “For God so loved the world that He gave His one and only son that whoever believes in Him shall not perish but have eternal life.” ( John 3:16 ) Because nobody knows the time when Jesus will return, before His returning, please grab every opportunity which leads you to accept His salvation. If now the Holy Spirit of God touches you, and you like to come back to the Lord but don’t know how to accept His salvation, please contact me through my e-mail: miriamandyou@gmail.com I’m more than happy to help you enter the kingdom of God and start to experience God’s love and mercy! The following part of today’s article, I’d like to list Q and A for the inner child healing section. Thank you for the questions you wrote to me . Although just a few people sent me several questions, I know it’s a good start for you and for me. Let’s keep on good work! 1. Q: How could you let a person re-experience the event which had happen 20 or 30 years ago? Was hypnosis used or involved? 1. A: Hypnosis was not used or involved. I don’t know what it is about, so surely I don’t know how to use it. When I prayed for myself or other people, it was the Holy Spirit of God letting the person retrace back to his old memories and ancient pains. 2. Q: I’m not sure whether I’m able to pray for my inner child healing or not. Don’t I need a pastor to pray for me? 3. Q: Some books talk about meditation. What do you think about it? Is it helpful? 3. A: I only meditate on Jesus and God’s words. It’s very important to do that, since the healing comes from Jesus and the truth in the Bible. Those books I have mentioned before, I only read the parts which talked about the dysfunctional family system, as for their methods of meditation, if not focus on Jesus and God’s words, I always skipped them. 4.Q: If I’m taking medication, shall I stop it when I start to pray for myself? 4.A: It’s your choice and you need to consult your doctor. Taking medication doesn’t mean that you don’t have faith in God. As long as the treatment is on the right direction, it’s fine to do the both ( medication and prayers ) at the same time. 5.Q When I prayed to Jesus to bring me back to my past life, an event came up to my mind which hurt me a lot. I felt I hated my dad and my brother, for my dad always compared myself with my brother. He thought “I am stupid” and ‘I am trash.” I have tried my best to please my dad, what else can I do? I feel very guilty because I hate my dad and brother. 5. A:I feel very sorry about your story. I totally understand how you felt about your dad and brother and why you hated them. It’s very hard to please people as nobody is perfect. We’d better learn to please God. Stop blaming yourself , because only God Himself is the judge. I’m glad that your genuine feelings are out now! Let’s learn to pray for Jesus’ healing and forgiveness. 1) Pray to Jesus and ask Him to forgive your dad and brother, because they mistreated you. 2) Pray to Jesus and ask Him to forgive you because you hated your dad and brother. 3) Pray to Jesus to give you power to forgive your dad and brother. 4) Stop judging your dad, brother, and yourself. Tell Jesus you’re willing to let Him be the judge. 5) Jesus knows your hurts. Pray to Him and ask Him to pour His love to your heart and heal the wounds. He will, definitely. 7) God’s words for you: Psalm 139:13-16: “For you created my inmost being; you knit me together in my mother’s womb. I praise you because I am fearfully and wonderfully made; your works are wonderful, I know that full well. My frame was not hidden from you when I was made in the secret place. When I was woven together in the depths of the earth, your eyes saw my unformed body. All the days ordained for me were written in your book before one of them came to be.” God said you are unique. Nobody can replace you in the world. You are fearfully and wonderfully made. Please meditate these Scriptures day and night. Believe what God said about you and accept your image which was from God, too. P.S. After having prayed for the forgiveness, if you still feel hard to forgive the people who hurt you before, that means it might still have some other events related to you and the people who have hurt you, therefore, it had better keep on praying until all the hurts being healed. 6. Q: My church hasn’t mentioned about the ministry of inner child healing. Why? 6 A: In my 27 years of being a Christian, I’ve been staying at 7 churches, and only 2 churches were open to the ministry of inner child healing. I was so blessed to be involved in this ministry. I’ve understood it is God’s will to save people, heal people and transform people’s minds, too. I wish people don’t limit God’s power, and are willing to experience He is a living God day by day! 7.Q: What’s the purpose of your site? I feel this is a good site, but doesn’t have much traffic. Why? 7.A: 1) A I’m glad that you think this is a good site. First off, I’d like to thank those people who like or follow my site. Thank you for you have shown the support to me. I’m a low tech person, and very traditional,too. I seldom use facebook or twitter. I still like to contact people through e-mails. So please feel free to tell people about the ministry of my site if you think it’s helpful. There’s a “follow” button on the web page, click it and put down your e-mail if you like to receive my article when I publish the new one. Thanks! 7.A:2) The purpose of my site is making the disciples of Jesus. This is my calling from the Lord. 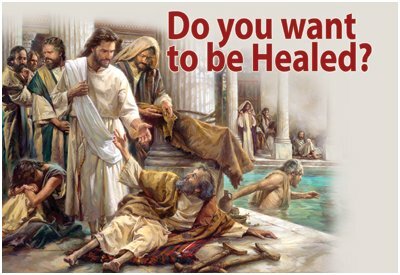 I wish the ministry of inner child healing through God’s way would reach to the people in the world who are willing to know Jesus or in the needs of His healings. Praise the Lord! So far I saw some people from the states, Great Britain, Australia, Africa, Indonesia..,etc visiting my site through search engines. I’ve been praying for all of you God’s mercy and love will come upon you and you, being rooted and established in love, may have power, together with all the saints, to grasp how wide and long and high and deep is the love of Christ. Thank you for taking time to read my article today. I’m looking forward to seeing you on our next topic “marriage”. Following every topic, we’ll always have the healing and testimony sections. Therefore go and make disciples of all nations, baptizing them in the name of the Father and of the Son and of the Holy Spirit, and teaching them to obey everything I have commanded you. And surely I am with you always, to the very end of the age. Matthew 28: 19-20. This entry was posted in Christianity, Holistic Healing, Spirituality and tagged Christianity, God, health, holistic healing, inner child healing, Jesus Christ, Life, Spirituality. Bookmark the permalink. Thank you for your sight and your words of Truth. This is a powerful page! I have just begun my inner child healing work. My Christian counselor suggested I spend time with her, talk with her, ask her how she’s feeling, etc. (I am separated from my alcoholic husband, after 12 years in an abusive marriage, and struggling with my own personal addictions and eating disorder. Before my separation, I thought I had a good childhood, compaired to many others in this world. After many therapy sessions, I have realized the divorce my parents went through when I was in 4th grade, and subsequently, my emotionally absent and condeming dad, and my alcoholic mom, did lots of damage to my “Little Lindsay” as I call her). My counselor suggested doing child-like activities with her while focusing on her. This is all very strange to me, but in trusting my counselor, I have just begun. I’m finding it hard to focus on her and how she’s feeling. Any suggestions for focusing on her and having conversations with her? The few times I have spent time with her, I have cried and grieved, and I do feel I am healing and growing through this strange work. I think I just need a little further direction. You mentioned a few books – are any of them good regarding guiding this process of spending time with my inner child? Thank you so much for your efforts on this site. I always thought “inner child therapy” was un-christian, but the more I am learning about it, I realize I was nieve in that thinking! Thank you for your sharing. May the Lord Jesus continue to bless you on your inner child healing work. Those books I’ve mentioned on my site were the books I’ve read before. Those books had very detailed introduction and discussion on the dysfunctional family system and how the system had resulted in the adverse impacts on the inner beings. Some of the authors were Christians and Some might be not. Thus, everyone offered the different ways for the healing work. Even Christian professionals might often offer various kinds of treatments. It really depends how the treatment may work for your inner child. As a Christian, I’ve experienced the healing and transformation from the the Lord Jesus and I’ve seen and heard the testimonies from other Christians everywhere in the world. Praise the Lord!